When did you join MLN, and why? I joined MLN sometime in January, 2008, so I've been a member of MLN for almost 2 and a half years. I joined because my friend Banjobug kept pestering me to, saying it was an awesome game. I was never really into Legos, and when I first joined MLN I thought it was stupid. However, I quickly found out how fun MLN was, and I was hooked. I even signed up for lego club magazine and later on brickmaster at some point in 2009 I think. I even bought some Lego sets; things I previously was not very interested in. Re: When did you join MLN, and why? January 2010. I just saw a link and clicked it. Then I got hooked. Well, I joined somewhere around 2007 I think. It was probably because of the migration of the Club Pages. So yeah, that's pretty much why. It turned out to be an awesome game. Roxtus wrote: Well, I joined somewhere around 2007 I think. It was probably because of the migration of the Club Pages. So yeah, that's pretty much why. It turned out to be an awesome game. That's pretty much the same reason for me, too. For about two years, I rarely got clicks. When I join here, my click amount has doubled. April 2008, A friend showed me lego.com. I went to MLN because I wanted to do something on lego.com. It was and still is very fun. I joined 2-3yrs ago, because a friend showed it to me. MLN was ready in 2008 remember. I joined in March of '08. I joined because everyone on the LMB's was doing it. Interesting; it seems as if most people joined 2 years ago. I joined like 6 months ago (I think), and I joined cause I was searching around on LEGO.com, and found MLN by accident. I started with that the first time I was on Lego, there was an interesting ad for the game and I clicked that. It lead me to the start button of MLN. I started and was surprised, I started with it. And then it was the beginning of 2008. I joined Mln 7 month ago.I seachred in google for msn but though a typo i searched mln. I arrived at MLNW and I read the pages about it.Then a week later i begun with MLN.The first days was confusing.It took a week until i was Rank 1.When i was Rank 3 I joined Mlnw and did some trades.Later at the end of rank 7 i joined mlnt and mlno. It was something like a month ago for me, after 2 months listening to Not-to-old's stories about it. He kept going on forever! I guess I still am the curious little kid I always used to be. I joined march of 2009,about 14 months ago. I joined it when i tried to do the old club pages but it was canceled and gave me the link to mln and i tried that. Then about a day after i joined the lmb's. I joined right before SCS. When MLN first started for real. At first I thought the game was stupid too Then I realized. UMG IT'S AMAZING! I started a few days after the public could play it the only reason was becuase LEGO Club pages where been deleted so I had to move to it. I still prefer the old Club Pages. Mln: My brother joined MLN, in, ah, january., I joined in, maybe, april or so, 'cuz it looked fun. Then I forgot My first accounts password, so I made a new account. MLNteam: Again, my brother showed me this site. Now I go on it alot!!!!!!!! I thank anton for that! Mln: my friend bobo9711 told me about it. mln wiki: i searched for help. Banjobug wrote: I joined right before SCS. When MLN first started for real. At first I thought the game was stupid too :P Then I realized. UMG IT'S AMAZING! TheRoddy15 wrote: I started a few days after the public could play it the only reason was becuase LEGO Club pages where been deleted so I had to move to it. I still prefer the old Club Pages. I never really did much with the club pages, because I only joined MLN a little while after it was released to the public, I think. alliej97 wrote: Mln: My brother joined MLN, in, ah, january., I joined in, maybe, april or so, 'cuz it looked fun. Then I forgot My first accounts password, so I made a new account. Anonymous wrote: Mln: my friend bobo9711 told me about it. 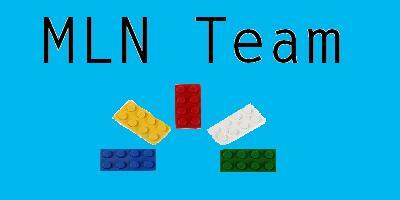 I joined MLNTeam because I was extremely frustrated with the Lego Message Board. Waiting three days for a post to be approved wasn't very fun. =P I think I saw MLNTeam mentioned in one of the news stations, so I Googled it, and voila! I am here! I joined MLN atleast in April, 2008 after my B-Day. After the club pages closed down I saw the transfer link and then I got totally hooked with MLN. I joined MLN in early 2008, but I had an account long before that. I owned a club page, but when MLN came, I upgraded. MLN is a lot better than Clubpages! I ve been with Lego.com since 2003 though:) haha I joined young. You've been on lego.com for 7 YEARS?!? Wow, nice! That's really a long time. I joined mln as a mistake actually. Last year, near the end of summer, I got a lego magazine on accident, it was supposed to be my neighbor's. I looked in it, and I saw a cool picture of lego universe. I went onto lego and was looking for lego universe, but I found mln and I was hooked. I joined mlnteam because i heard of it somewhere so i tried mlnteam.com, then .net and i found this place. Um let me think long time ago. Commanderfox324 wrote: I joined mln as a mistake actually. Last year, near the end of summer, I got a lego magazine on accident, it was supposed to be my neighbor's. I looked in it, and I saw a cool picture of lego universe. I went onto lego and was looking for lego universe, but I found mln and I was hooked. Tvguy519 wrote: Um let me think long time ago. Why did you join MLN? I jponed a long time ago. I had dial up( slow internet!!) so I really couldnt do it. when I finnally got hi speed I whent on lego .com and was happy to see I still had my account!